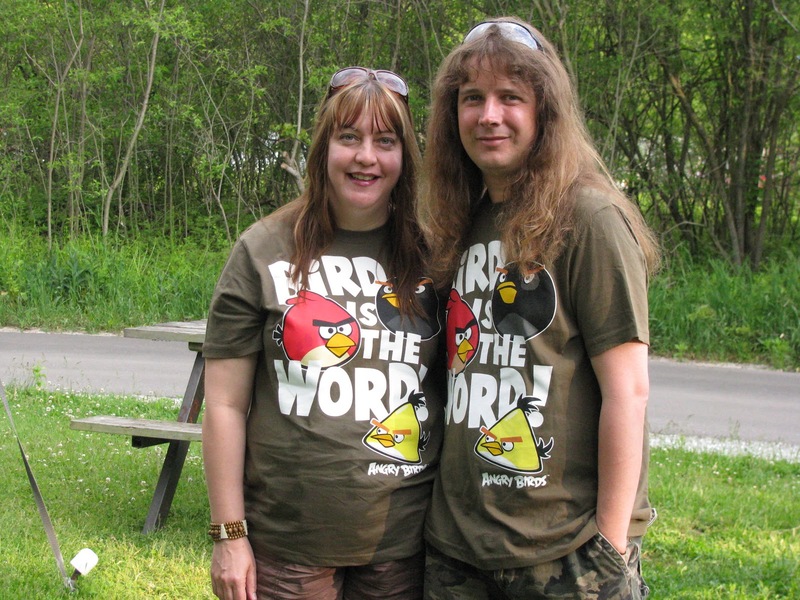 We're just a couple of "Bird Nerds". 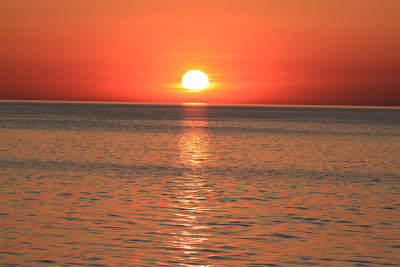 This past Monday morning, our friends Jim and Lynda picked us up before the sun was, to head over to the Leamington area for our birding adventure. 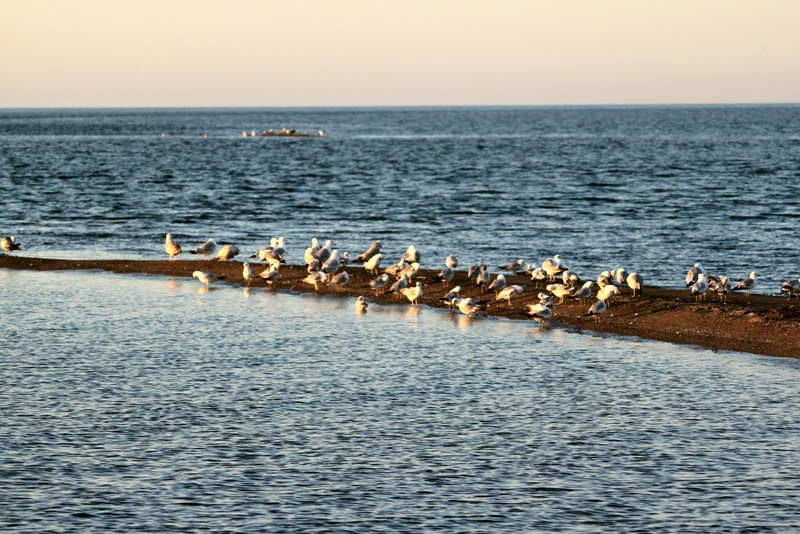 We hit three great birding spots on our trip; Rondeau Provincial Park, Hillman Marsh, and of course the warbler capital, Point Pelee National Park. We had been over to Pelee the same week last year, but it was quite apparent that Spring really did arrive early this year. We didn't see as many warblers as last year, and we found a lot of birds already sitting on their nests. Separate picture blog to come about that. We still had a fabulous trip, and saw many, many birds. Our species total topped out at 86, and Rob and I had 10 lifers! 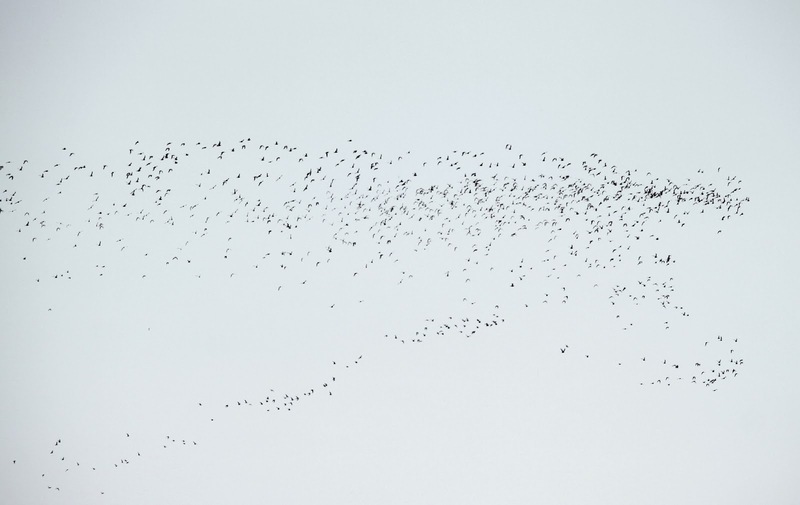 We also got to witness a Dunlin murmuration and the flying courting ritual of the American Woodcock, both spectacles were truly spectacular to witness. One of my favorite moments of the trip no one captured a picture of because we were all staring at it through binoculars. It happened at Hillman Marsh, on their longest trail through the marsh. We witnessed a male Red-winged Blackbird sitting on top of a deers head just as relaxed as can be while the deer kept a watch on us before darting away and the bird flew off. I still don't believe I saw that, but I did. Please enjoy a few pictures from our trip and click on them for a better view. It's always nice to feel welcomed! 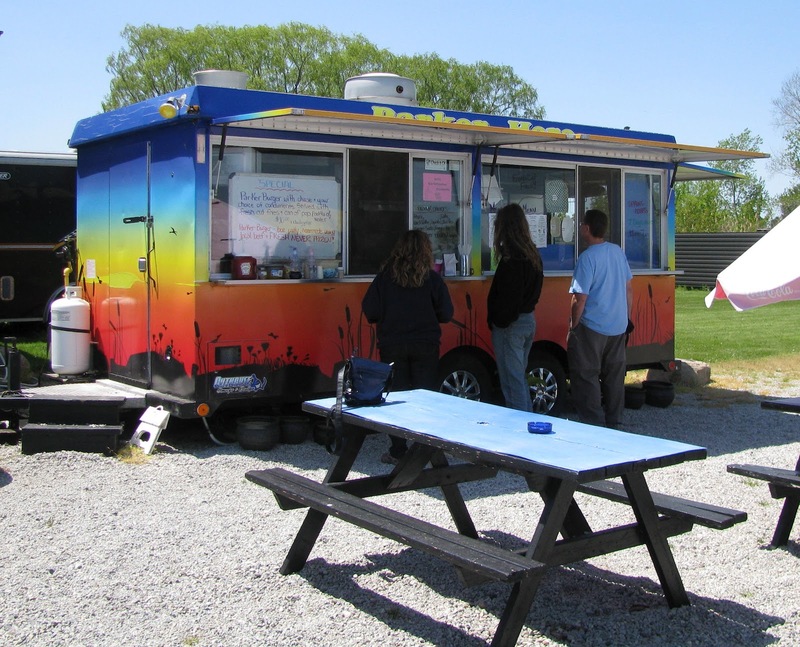 We enjoyed a couple meals here. 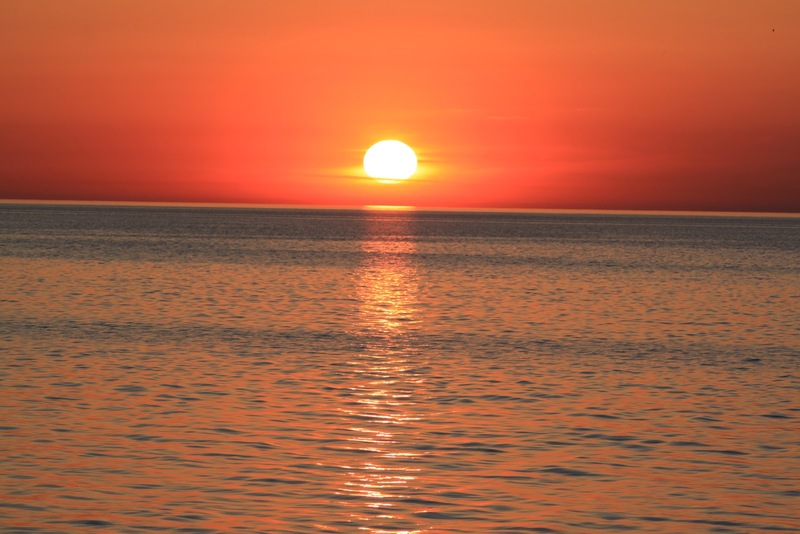 Sunrise at the "Tip" of Point Pelee National Park. 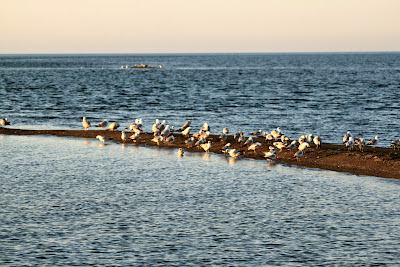 The "Tip" of Point Pelee is a welcomed sight for migrating birds. 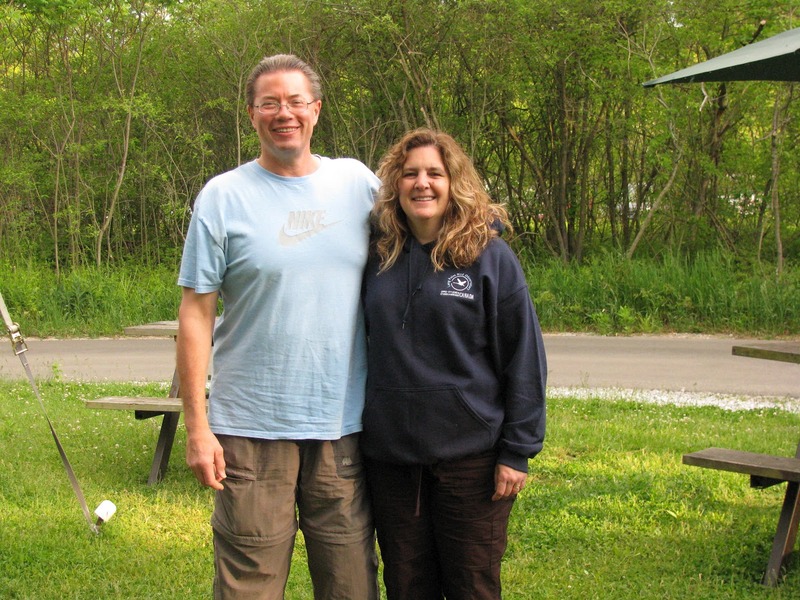 Our birding buddies, Jim & Lynda. 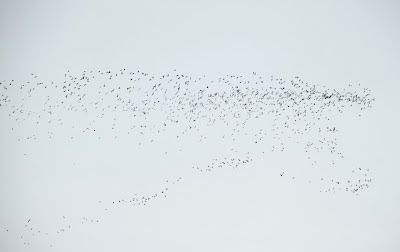 Watching this Dunlin murmuration for several minutes was breath taking. 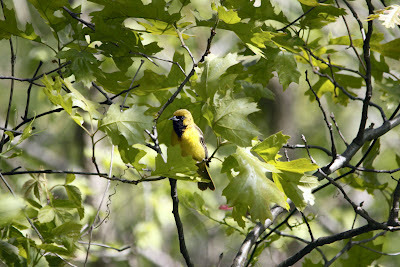 This first year male Orchard Oriole caused lots of excitement because we had no clue what it was. 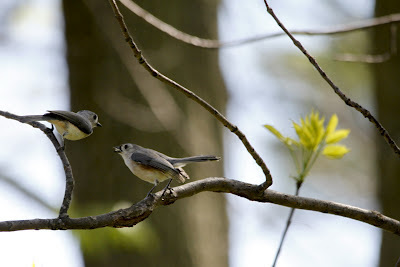 A male Tufted Titmouse feeding his lady friend, apart of the courting ritual in many bird species. 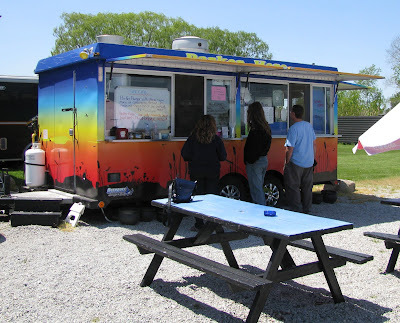 Last stop before heading home, a Chip Truck, just outside of Rondeau Provincial Park. Oh wow! It must have been an eyeful feast all day long. Angie, congrats on 10 lifers! Nice blog as well!